Timor-Leste is one of the poorest countries in Southeast Asia with more than 80% of its population reliant on subsistence agriculture. A decline in agricultural productivity resulted from slash and burn practices has forced farmers to clear additional forest remnants and shift agricultural activities to new areas. Deforestation and land degradation in Laclubar and Soibada sub-districts of Manatuto district have resulted in biodiversity loss, soil erosion and proliferation of invasive species. This project aims to create a mechanism that enhances the biodiversity and livelihoods in Timor-Leste through the expansion of community led reforestation that integrates agroforestry, farmer-managed natural regeneration, biodiversity conservation and carbon payments through an internationally recognised carbon accreditation scheme. The project, which commenced in July 2017, is focused on two farming communities (210 families) in the central mountain area of Laclubar in Timor-Leste. Indigenous knowledge and Timorese customary law (Tara Bandu) is guiding project activities to ensure alignment with community values and goals. Raebia, a local NGO, will assist with agrofrestry development. An integrated research project, the project has environmental, social and educational components. Dr Joanne Millar and Dr Jennifer Bond will carry out social research on farmer learning and livelihood impacts; Dr Alexandra Knight will conduct biodiversity surveys and educational activities.Jorge Ramos, a forestry researcher, will coordinate the project's activities and organise the carbon accreditation. The project is helping to achieve six Global Goals for Sustainable Development (SDGs) namely no poverty, zero hunger, quality education, gender equality, climate action and life on land. 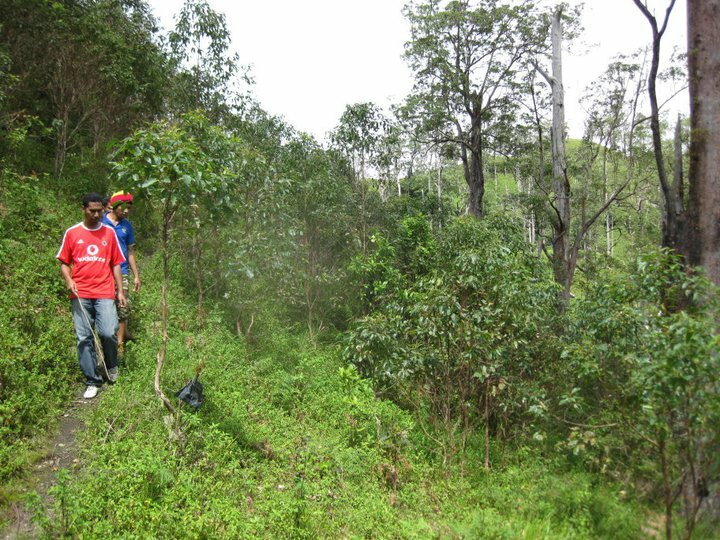 Combining feasible voluntary smallholder carbon payment schemes with agroforestry, biodiversity conservation, reforestation and customary law is a new concept for Timor Leste. The project is expected to enhance biodiversity and livelihoods in Timor Leste and provide valuable lessons for national and international biodiversity conservation and development programs.